How Did You Discover Kaki? Re: How Did You Discover Kaki? It all happened in January '08. I was watching guitar virtuoso videos on youtube and chatting about them with a friend on msn... this friend of mine sent me this link of a video and she said "even if she's not my type, I'd like to go to dinner with her just to ask her how she can look at the camera like that while playing something so difficult!"... when I saw Playing With Pink Noise I understood what she meant with "look at the camera like that" lol. I was amazed by her skills and most of all by her originality, then I clicked on the related video Gay Sons of Lesbian Mothers and I was like "wtf, this is completely different from the other one" and the beauty of both songs was just so great that I fell in love with her music straight away. ...Until We Felt Red was the first record I bought, all the others followed soon. The ultimate step was going to see her live for the first time, at London ULU in May '08. Since then I consider Kaki one of my top favorite artists ever. An Horse, who btw, are also stellar! Saw that they were gigging together and checked out KK, I am so glad I did. Life will never be the same . . . My ears are happy! like I said on a previous post, I found out she existed on AfterEllen, and fell in love with her music. After seeing The Con and Into the Wild around the same time, the name stuck in my head... so I found Dreaming of Revenge at the record store one day not long after and it easily became one of my favorite albums of all time. 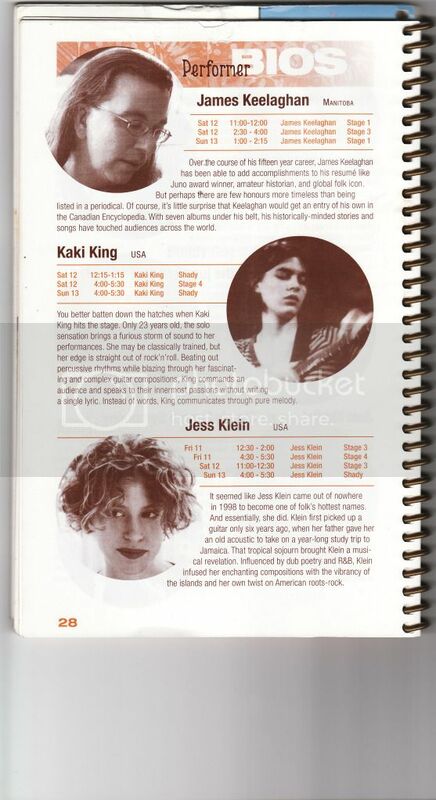 I discovered Kaki King in early 2007 at work. My boss played her first three albums all mixed together and the percussive songs like "Playing With Pink Noise" really caught my attention. Her music was different enough from my usual that I was just content to hear it when I was at work. Then two years later I was working at a remote wilderness lodge and had this acute desire to hear her music so I sent off for all of her albums, which at the time included up to "Dreaming Of Revenge". Ever since then I've been hooked! Kaki's style is dynamic and unique - you can hear it across all the styles she's done so far and I look forward to seeing how she expands on future projects. I first her music when I watched Into the Wild. Then straight away, before even listening to any of her other songs, I learned Doing the Wrong Thing.